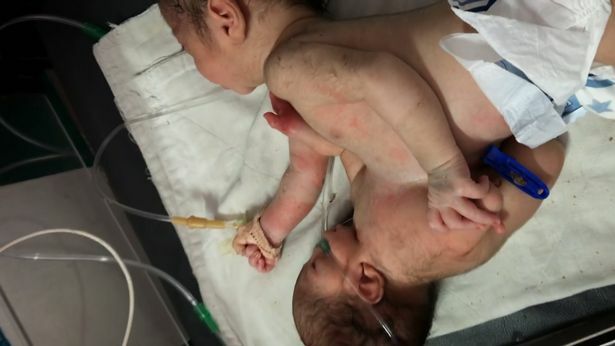 A conjoined twin was removed from his twin brother’s stomach after a heartbreaking decision to let one child survive. Mum Hemlata Singh, from Jodphur India, gave birth to a healthy baby boy called Sonni, but attached to his stomach was his partially formed brother, known as a parasitic twin. Parasitic twins occur when an embryo develops inside the mother’s womb but the pair does not separate, leaving one embryo maintaining dominant development. Unlike conjoined twins, a parasitic twin isn’t completely formed and is totally dependant on the healthier baby’s body to survive. Sonni’s twin’s brain was underdeveloped and it’s didn’t have it’s own intestine or stomach, meaning the child had no way of surviving alone own and was putting Sonni’s life at risk. 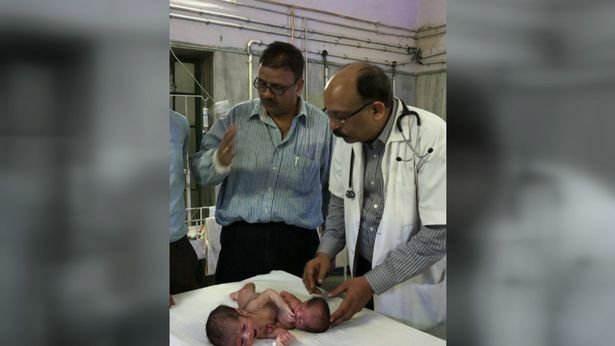 Dr Anurag Singh, the professor of paediatrics who treated the brothers in 2016, said: “When we saw this baby one of the children was just like any other normal child, the only abnormality was that from his whole abdomen there was another small baby sitting on it. “The two had a common skin and they were joined together. So it was as if one small child was sitting on another child. “When I first saw my kids, I felt anxious and awful. 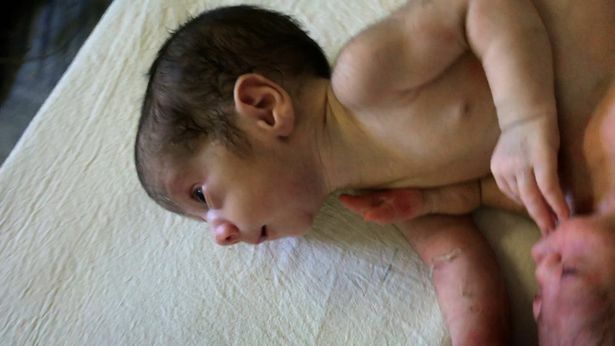 When Sonni was nine days old, surgeons separated the parasitic twin from the single liver they shared and then disconnected an artery that carried blood from Sonni’s heart to the twin’s deformed one. 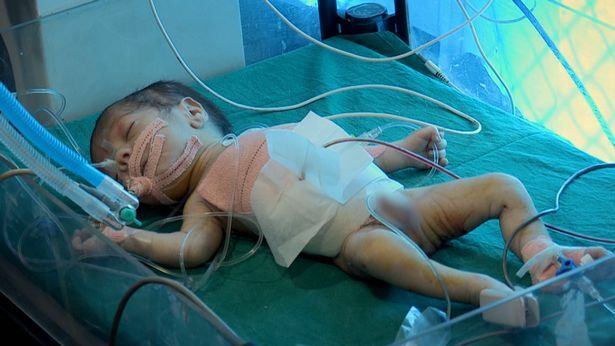 As expected, the twin died shortly after the surgery, but Sonni was able to go home after 12 days after the operation. “I am happy to see that my child’s condition is improving and he will get better.